How dangerous is this road? Find out the real numbers. This ominous label is often misreported as the nickname for all of Lincoln Drive. 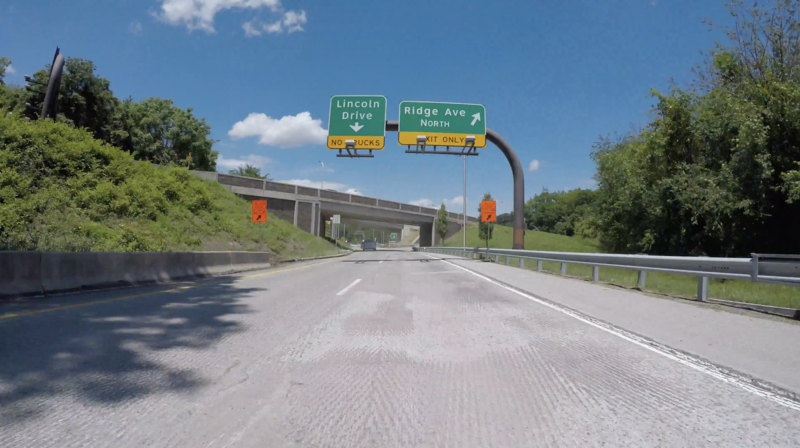 The nickname "Dead Man's Gulch" actually refers to a section of Lincoln Drive, which is the two-mile stretch of serpentine roadway between Ridge Avenue and W. Rittenhouse Street. From 2012 through 2015, that was the average number of motor-vehicle accidents, annually. Anyone who has ever driven on Lincoln Drive knows how treacherous it can be, even on a sunny day. But just how dangerous is this road? This infographic on Lincoln Drive accidents was derived from data maintained by Philadephia's Research & Analysis Unit. The raw data was compiled and analyzed and the statistics are staggering. Over a span of four years (or 1,460 days) there were 1,533 accidents. Over 30 percent of those accidents occurred near Gypsy Lane and Forbidden Drive. Annually, there are an average of 383 accidents per year—that's at least one accident per day! Lincoln Drive has and continues to be on of Philadelphia's most dangerous roadways. The road is plagued with speeding motorist, driving lanes which are too narrow, never-ending potholes and sunken drainage grates. Those factors alone make for treacherous driving. When you then add sections of serpentine roadway, it makes it easy to understand why Lincoln Drive is one of the most dangerous thoroughfares in Philadelphia. Lincoln Drive is set to undergo a $12 million improvement project. 80 percent of the funding for this project is coming from the federal government; the remaining 20 percent will come from city funds. Roadwork will begin on Monday, May 7, 2018 and continue through the end of 2019. During the estimated year-and-half project, lane restrictions will occur between the hours of 6AM and 9PM. From 9PM to 6AM, sections of the roadway will be completely closed with detours. However, during day and evening rush hours, all lanes are expected to be open. Existing asphalt will be removed and replaced. This includes the use of high-friction asphalt on the curvy roadway sections. Taller median barriers will replace the existing ones in hopes of reducing glare at night from oncoming headlights. Rumble strips will be added to the roadway to warn drivers of curved sections. Speed limit will be painted onto roadway and wider, six-inch striping will be used to denote travel lanes. Reflectors will be embedded into the asphalt, as well as into the median barriers. Without any significant design changes, the question remains: Will this make Lincoln Drive significantly safer? What source was used for these statistics?